The HP 88 Officejet ink cartridges are designed for business use. Print high-quality colour documents at a lower cost per page, when compared to laser printers. Get high-quality fade-resistant output. The reliable ink for accurate, everyday and easonable printing. For shipping to other EU countries visit this page HP C9388AE No. 88. Für Versand nach Deutschland, besuchen Sie bitte C9388AE HP Nr. 88. Chcete doručit zboží do Česka? 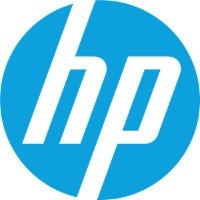 Prohlédněte si HP C9388AE č. 88 žlutá. Chcete doručiť tovar na Slovensko? Prezrite si HP C9388AE č. 88. Für Versand nach Österreich, besuchen Sie bitte C9388AE HP Nr. 88. Magyarországra történő kiszállításért tekintse meg ezt a termékoldalt: HP 88 (C9388AE).